CrossOver Turf delivers highly available silicon in the only form plants can absorb it—monosilicic acid. Combined with calcium and magnesium, the patented fertilizer improves soil structure before crossing over to enhance turf’s ability to adapt to environmental and disease-related stress. CrossOver works to restore air and water movement in soil while also moving within the plant to modulate nutrient use and fortify cell walls for stronger, higher-quality turf. The results include improved stress and wear tolerance, denser root mass, improved nutrient use efficiency, faster recovery and more. 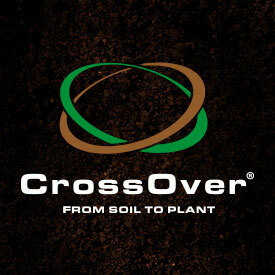 Learn more about CrossOver for your turf at crossover-silicon.com.